Our top recommendation is investing in the best suede possible. It’ll be a lot easier to maintain the fabric and texture if it’s high quality. Synthetic fibers are a lot more susceptible to damage. Remember, it’s better to spend more money on one pair of boots that will last several seasons than having to buy a different pair of cheap boots that will only last a few months. Consider protective sprays for suede like you consider sunscreen. You wouldn’t go outside in the summer without ensuring your skin is protected from the sun so you shouldn’t go outside in the winter without ensuring your boots are protected from the snow. You can pick up suede protector everywhere, from drug stores to shoe stores in a range of prices. It will help repel dirt and water and will help treat stains before they settle into the fabric. You’ll only need to apply a thin layer of the spray once every few months. 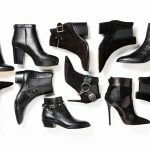 If you’re buying a new pair, we recommend spraying them right away then again once the cold weather hits. Before and after you spray, use a special suede brush on the footwear. You can often find a brush and spray together in a kit. You should leave the shoes for a few hours before you wear them so the protector can set. We recommend spraying before bed then leaving them overnight for maximum efficiency. 3. Gather the following materials. Unfortunately, suede protective sprays are not 100% effective. If you do end up with a liquid stain, don’t fret. 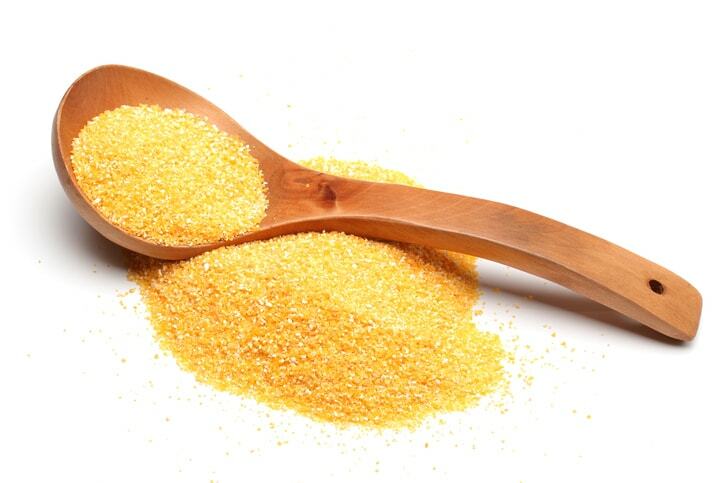 You can use items you will likely already have at home like cornmeal. At the first sight of a liquid stain, lightly pat at the stain with a towel and leave a layer of either one of these powders overnight. Brush the suede with your special suede brush to get rid of the residue and your footwear should be back to normal. 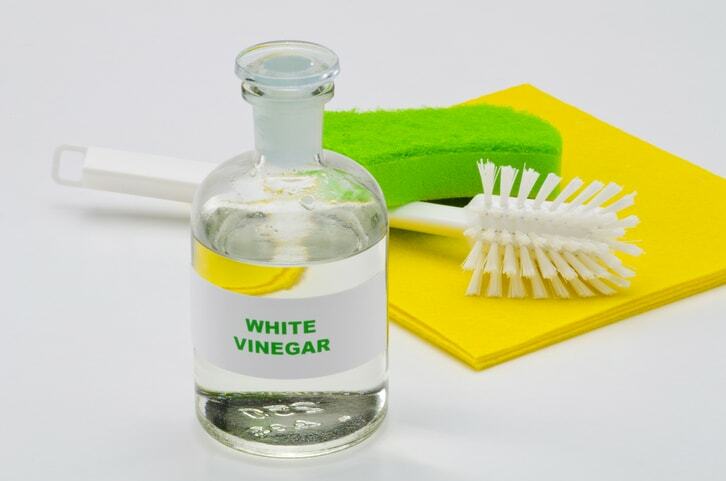 If you weren’t able to get to your liquid stain right away or there’s a dirt or salt stain, there are other household items you can use as a solution. If you have a pencil eraser or an emery board, you can buff off the stain with one of these. If this doesn’t work, pat the stain with a towel and white vinegar. Keep patting until the stain starts to disappear. You may be shocked to learn that a toothbrush is a fantastic tool for revitalizing your suede. Next time you go to the dentist, hold onto the free toothbrush they give you. Scrub the suede with this brand new one. You can also use steam to treat the suede fabric further. Put the shoes on your kitchen counter while boiling water in a kettle or pot then scrub with the toothbrush so the fabric is a bit softer. The best advice is to never clean your suede with water. As aforementioned, the fabric is not naturally water repellent so it’ll negatively impact the texture and colour. Always use the other solutions. 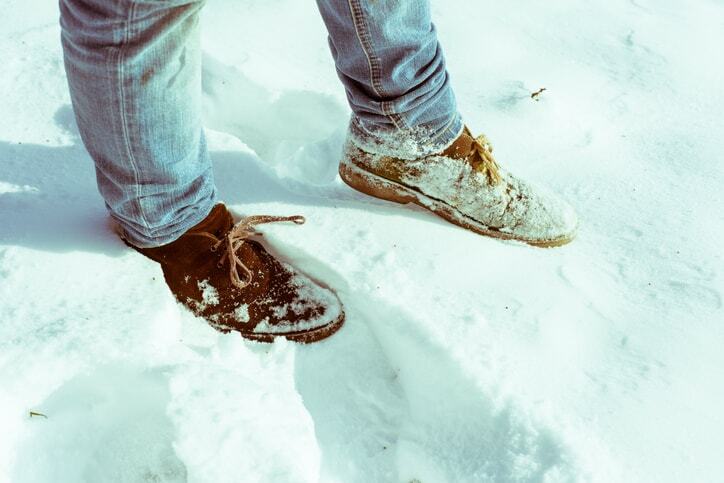 Always check the weather in the winter and if it calls for snow, hail or rain, keep your suede footwear inside. 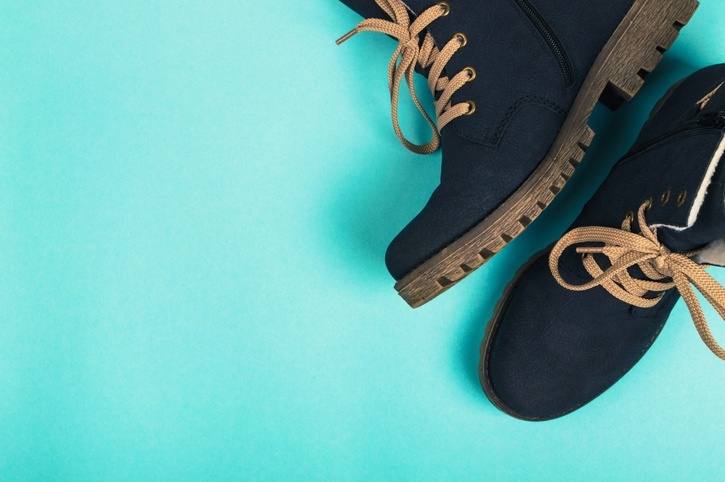 This tip is the best way to prevent your suede from getting damaged beyond repair. You can still wear your suede in the winter but it’s best to save it for days with no precipitation. Last but not least, give us a call at Love Your Leather and we’ll have your suede looking as good as it did when it was brand new. We clean sheepskin jackets and coats, suede pants and also do repairs. Love Your Purse does specific Ugg boot dry cleaning as well as other shoe cleaning services. We’re professionally trained to treat any stain on suede. Bring your favourite suede garment or footwear to us before it gets to be too chilly and then again once it gets warmer and you’re about to put it in storage.